My sweet Sally is terrified of loud noises, especially thunder. 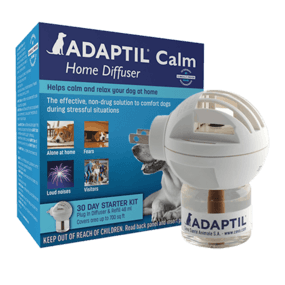 I've used the ADAPTIL Calm On-The-Go Collar on her and found that she is much calmer during thunderstorms. She still needs reassurance that the thunder won't kill her, but now it's manageable. Now I just need a super-collar for Fourth of July and Labor Day fireworks!! !